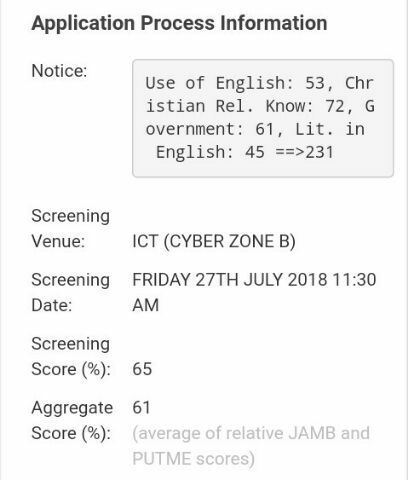 for all those who are asking if the University of Benin (UNIBEN) has officially published their 2018 screening examination (Post-UTME) results, yes! they have published the results. so, i will be giving you the steps to enable you to check your results. 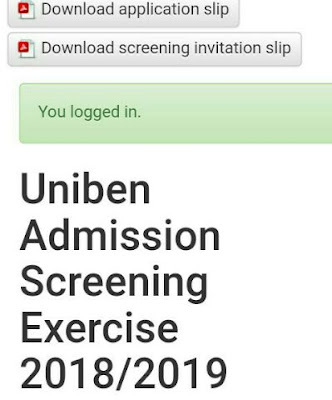 Download application slip and Download screening invitation slip before you see you are logged in, if you see these things just move to the down of the page it just below your jamb data. 4. 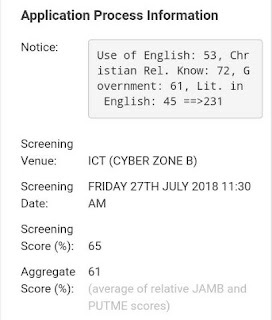 But you might be confuse because you are seeing two different score like this UNIBEN aspirant result in the picture his Screening score (%) is 65 while his Aggregate score (%) is 61 you don't have to be confuse the screening score here is what he got in his Post-UTME examination while the aggregate score is the combination of his JAMB score and Post-UTME score (JAMB score divided by eight plus Post-UTME score divided by two). 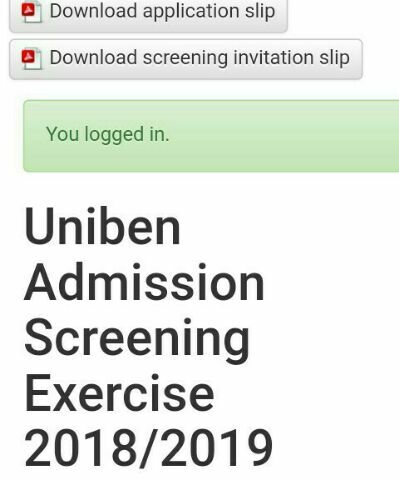 So if you have any problem applying this steps or concerning UNIBEN admission just comment it and i would be glad to answer them.